A flat top haircut has achieved some popularity in recent years due to its striking shape. This style is ideal for people who want to make a statement and are willing to keep their hair expertly groomed. 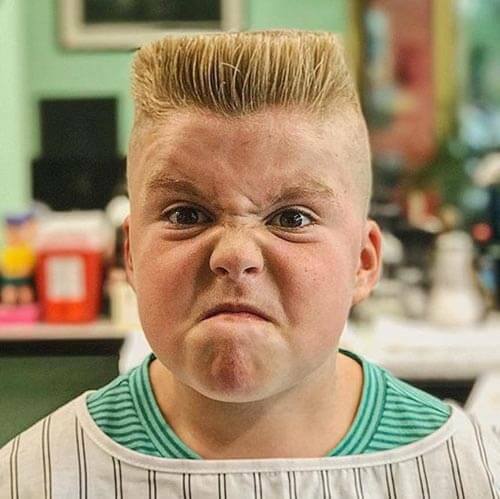 What is a flat top and how Style it? 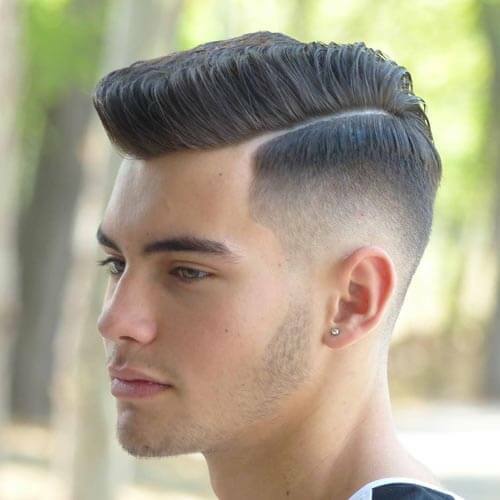 The most recognizable element of the flat top haircut is the structure that gives this style its name. The closely shaven hair on the sides of the head tapers up into a longer top. At the top of the head, a dense mass of hair levels out into a block or square shape that stands straight up. The actual flat top can be anywhere from one to several inches long. The potential height of this style often depends on the texture and length of the hair and its ability to keep such a structured shape. 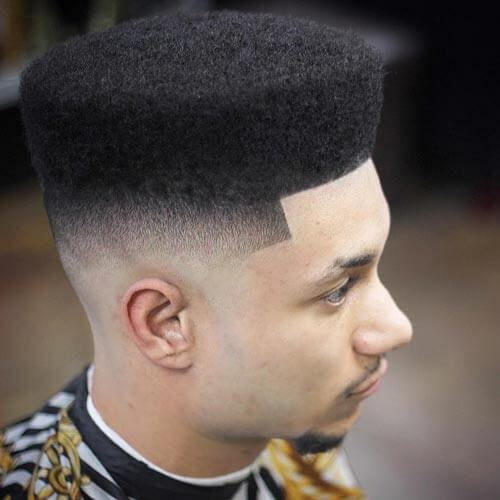 Finally, the ideal flat top should be cut and trimmed regularly to retain sharp edges and the dramatic height. While it does require some daily styling, a flat top haircut makes a strong statement. Are you are ready for a flat top haircut that is iconic and modern? Why not try one with a clean shave and lineup. This cut will give you a boyish look and is a statement-making style that can be achieved with just a few scissors moves. 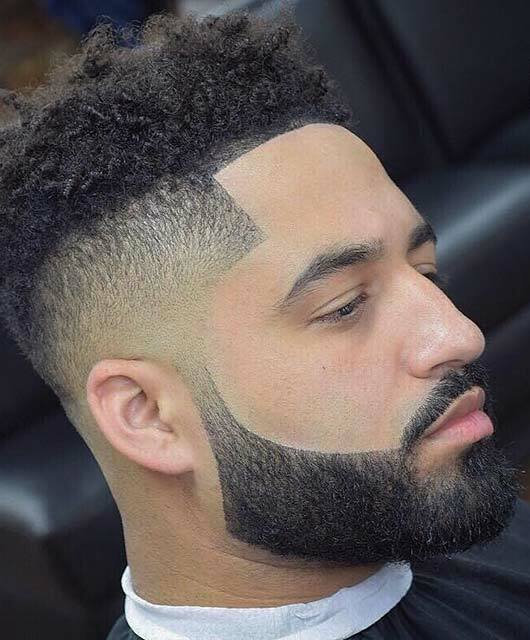 Perfect for men with natural afro hair, this haircut requires little maintenance. However, you will need to visit the barbers often to keep you clean-cut look clean. The flat top haircut is a classic with black men because black hair has the perfect texture to hold this style’s shape. This particular style features faded sides and a dense, neatly trimmed top. Additionally, all edges are kept sharp and fresh, including the hairline at the temples and across the forehead. 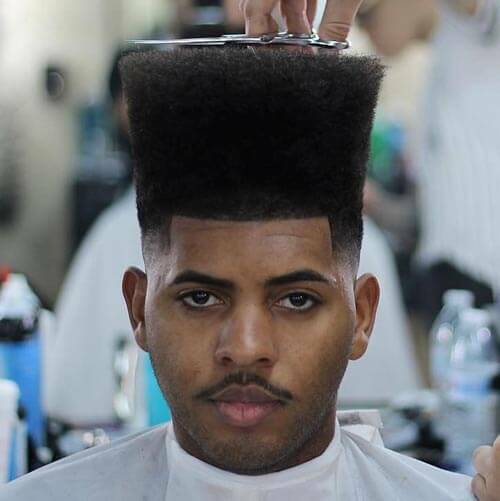 This haircut is a high top and flat top combined to create an amazing work of art. Using black hair to create a striking flat top haircut is much easier than with white hair, thanks to the natural texture of black hair. This carved up flat top is a not a good choice for maintenance-haters. It will require frequent touchups and you may need to have a comb handy. 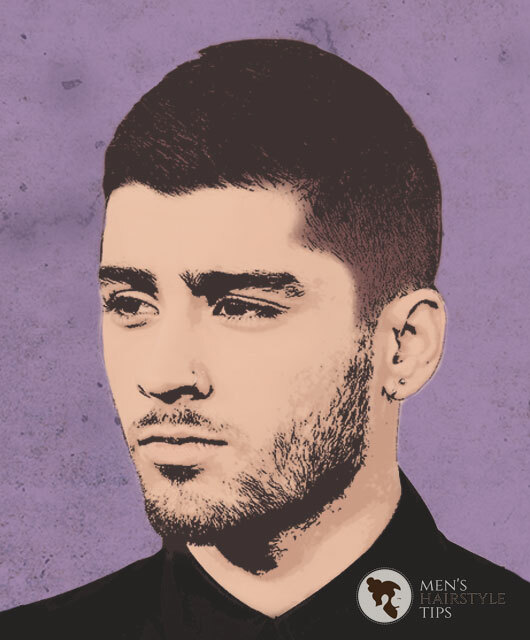 This style features faded sides and longer hair on top cut straight across at one length. 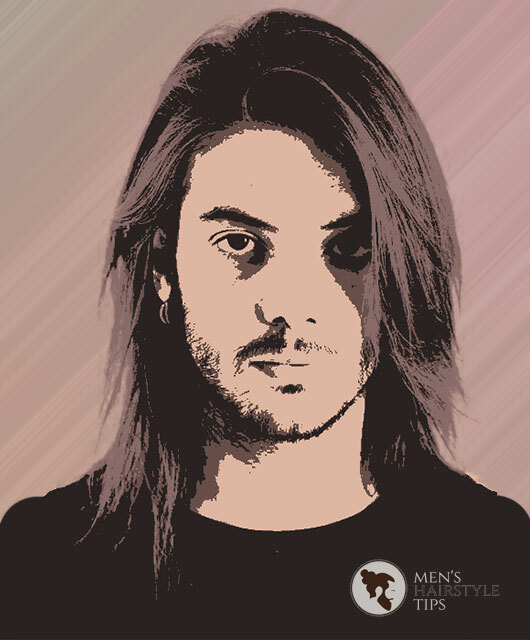 Maximum height is achieved by combing the longer hair straight up with styling product. Also, this style works best with thick, straight hair that will stay in place. 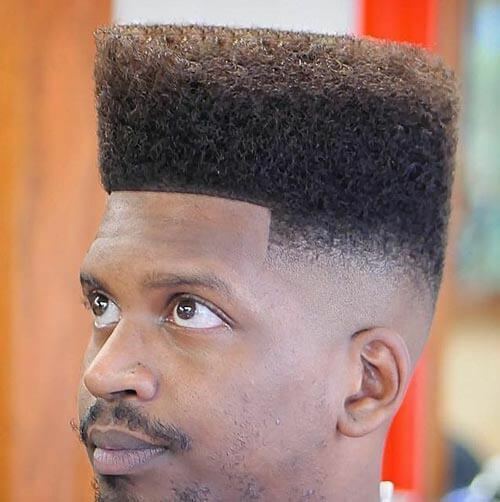 You can add some texture to a classic flat top and you’ll get a hairstyle worth an award. This flat top is easy to style but needs some hair product to keep it intact. The hair has some grey highlights that make it look distinguished and the sides and back have a taper fade. 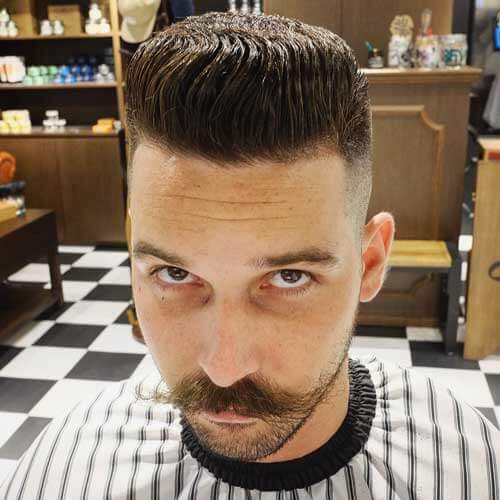 Combining the classic pompadour with a flat top haircut, this style features tightly tapered sides and a longer top styled away from the forehead. Combing the hair backward softens the otherwise hard lines of a flat top haircut and adds a modern touch. 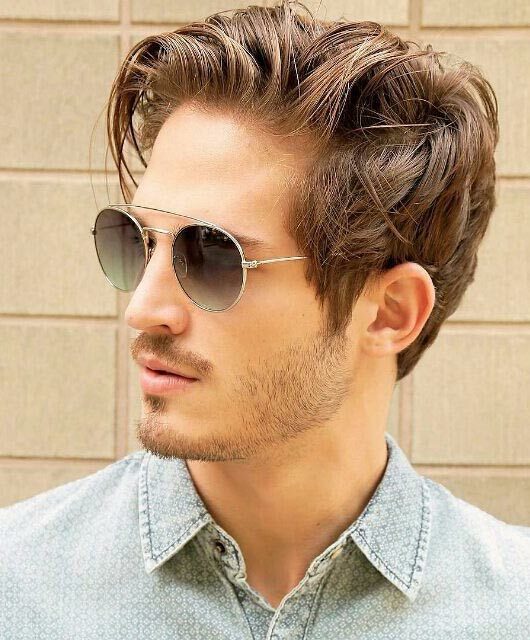 This is an unusual hairstyle and yet, it will be perfect for some men. If you still want to keep your hair long at the back and flaunt the latest men’s hairstyle, then this is the ideal flat top for you. 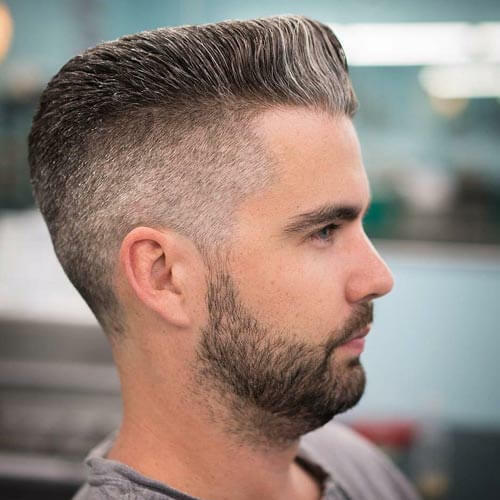 This layered flat top starts from the front and progresses in length all the way to the back. The top part is styled to be an exact square but the back hair is freestyled and can be held in a ponytail or simply let down. 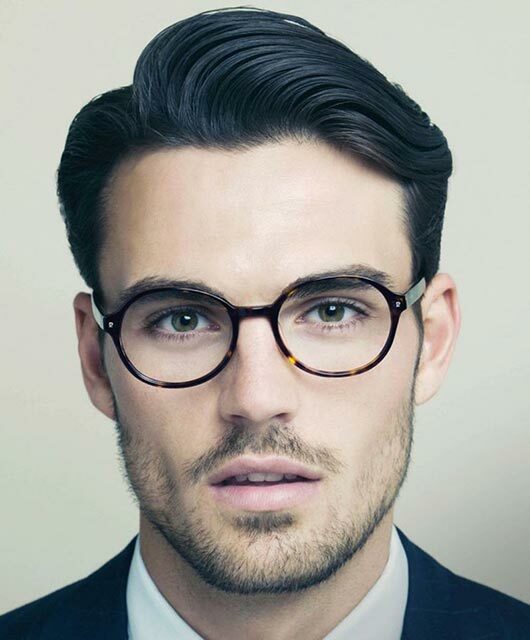 This style is great for people who want a no-nonsense look that requires less maintenance than a long flat top. Featuring short sides and short, blunt-cut hair on top, this flat top haircut delivers on style while retaining casual appeal. Flat top haircuts are ideal for taming afro-curly hair. 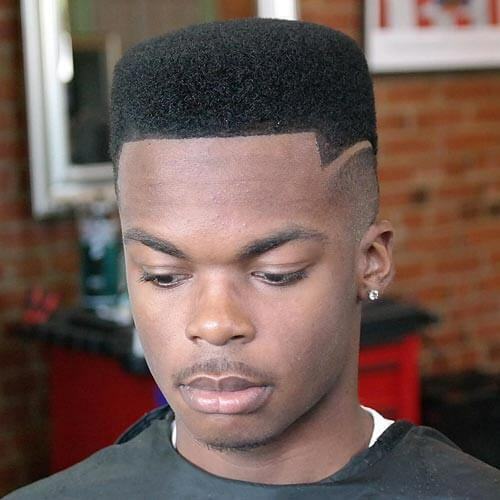 This hairstyle is cut to a medium taper fade on the sides and back, while the flat top is cut into a high top. 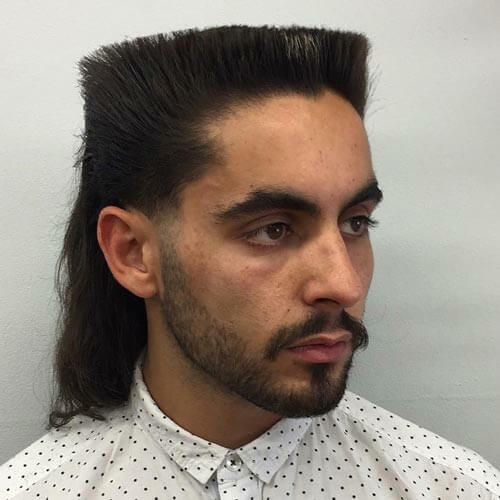 To make this haircut look more stylish, the barber created an impressive lineup in front. Afro hair is naturally curly and to maintain this look you will need any hair product that will keep the hair tangle free. Apply the product to your hair, comb and then air dry. 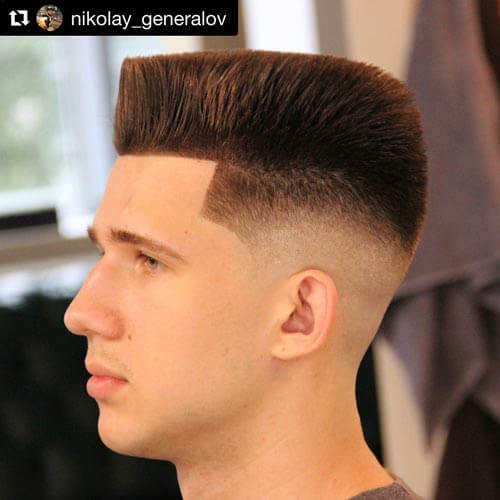 For those who want a show-stopping style, look no further than this flat top. This style features structured hair on top and a part shaved into the hairline. All edges are sharp and defined. Because of the precise geometry involved in this style, frequent maintenance is required.